I roll over to the other side of the mattress to shield my face from the morning light squeezing through the blinds. The floor of my room is scattered with a few socks and t-shirts. I can feel the fabric under my feet as I slowly and ungracefully swing my limbs around to place them on the floor. There is a slight wiggle of the toes before I stand up and pick one of the t shirts off the ground and slide it over my head and attempt to slip into my sweatpants in one fluid motion. "Coffee", is the next word bubble pops into my cloudy thoughts, and the aroma already seems to be coating the air, even though no brewing has begun. I walk/trudge down the flights of stairs into the kitchen and glance at the illuminating clock on the stove. I have 58 minutes to get my stuff together, toss it into the car, and get to the Nordic Center for the van ride to the helicopter. When I was young it felt like my Dad was as big a fan of the cartoons that I would watch as I was. Loonie Toons, Thunderbirds, Scooby Doo, and Huxley Pig. His favourite by far was Pinky and the Brain. "Gee Brain, what do you want to do tonight ?" "The same thing we do every night Pinky...try to take over the world"
Now, every morning I'm not getting out of bed conjuring up a devious plan to become king of the world, but the principle of the Q, "what am I going to do today" still runs true in my life. In the life of an athlete, cross country skier, I wake up, drink some coffee, and plan my day around training so that when winter comes, racing up hills isn't as hard as we make it look. 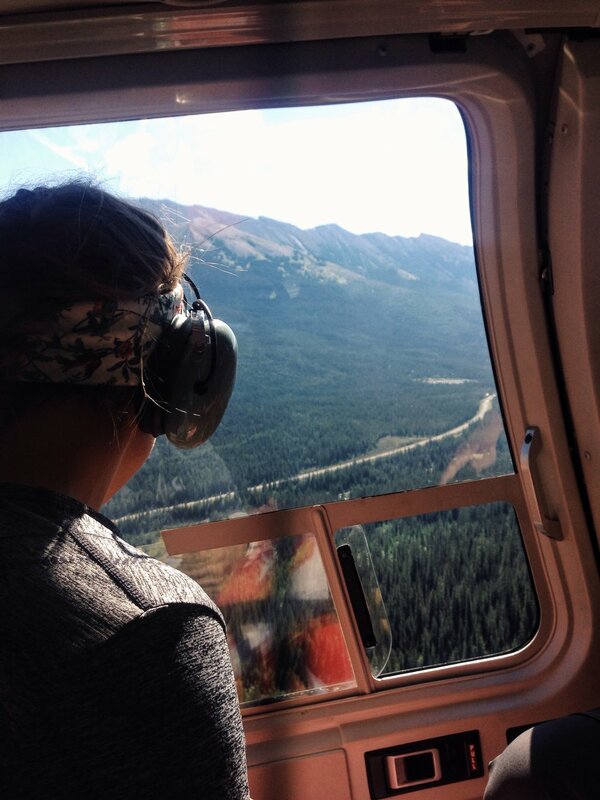 This lifestyle has given me opportunities to do some incredible things; taking a helicopter through the mountains of Kananaskis Country to ski in the middle of summer on the Haig Glacier is one that comes to mind. Yes, hard work and determination creates these opportunities for myself and none of it would be experienced without the thousands of hours of training in over the course of years. The reality is that no matter how hard I train or how many hours I put in I wouldn't be able to do what I do without support. I am privileged and lucky to have an incredible group of people in my corner. Sponsors are the unsung heroes of the amature sports world. They are the ones that get me to the start line. Mike Keating and Eric Piscopo (Bay Dental) have been there from day one; before I was on the training center and skiing with my home club, Soo Finnish Nordic. Graymont Mines in Exshaw and Jamie Coatsworth are new supporters from last year and I am excited and proud to have them aboard again this year. DieselPure® is a new sponsor, and I could not be more grateful to have them on my team helping me out this race season. The equipment that I use is crucial to my success. My equipment crew of Shades on Caribeau, Fischer skis, Alpina boots, Swix poles and Polar watches help me get the gear that I need in order to perform at my best both in training and on snow. Yesterday marked the eight week point to the beginning of my 2016-17 campaign. On November 13th I will be boarding a plane to Oslo, Norway to race pre-World Cup openers and Scandinavian Cup races. This level of racing is some of the highest in the world, with winners of these races usually posting top results on World Cup. I had an amazing summer packed full of adventure, thrill, suspense, love, fear, anger...it was basically the storyline of Forest Gump...with some training. In a couple weeks I will head south of the border to Park City, Utah for our last training camp where high altitude, warm weather and fall air are waiting.